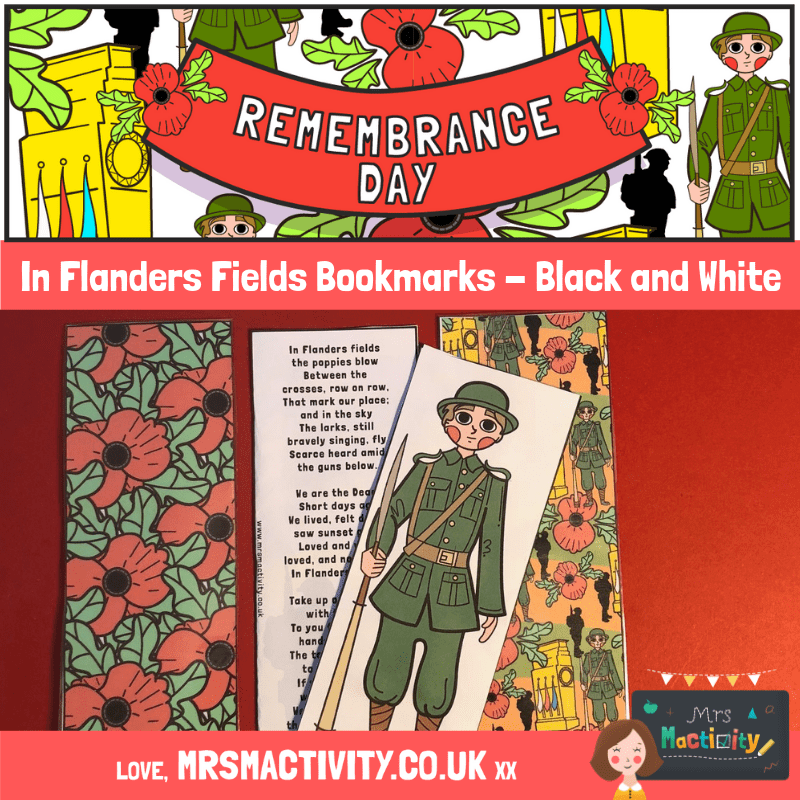 Remembrance Day is really important for children to learn about, and what better way to explore this day than to inspire children with crafts and activities that trigger conversation and reflect the sacrifice of others, in a child-friendly way. At Mrs Mactivity we’ve got several easy no-mess crafts that all ages can get involved in – you can make them as easy or as complex as you like, and what’s more, kids love them too! 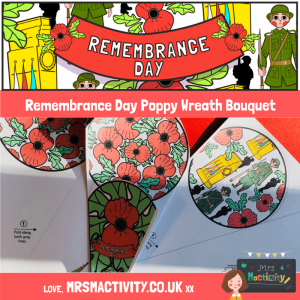 Make your own Poppy Wreath Bouquet with our easy paper craft. Simply print, then fold, cut, stick and you’re done! 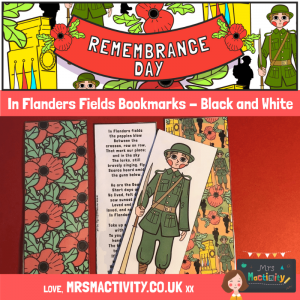 Also comes in black and white to save on ink and for children to really personalise. If you like paper plates, then this one is for you! 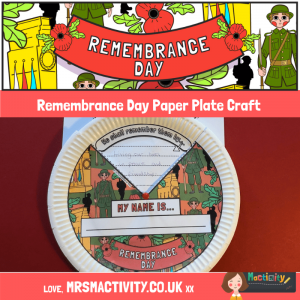 Paper plates are a really versatile resource for Early Years as they are easy to get hold of, cheap and durable. 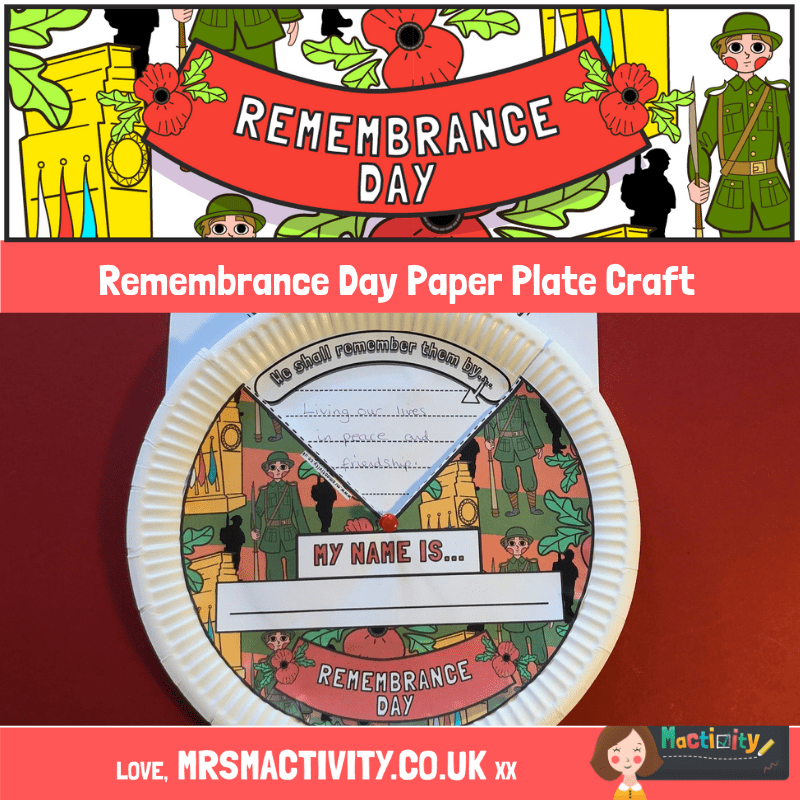 We made this Remembrance Day Paper Plate Craft as a way of encouraging children to think about how they will remember the fallen. For Early Years, simply encourage children to draw pictures of things they can do – perhaps being kind to someone or sharing their favourite toy with a friend. 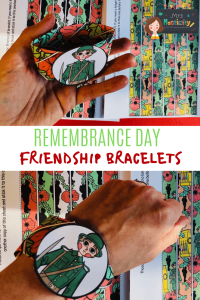 For slightly older children, our Remembrance Day Friendship Bracelet is a really simple weave activity that is good for fine motor skills too. 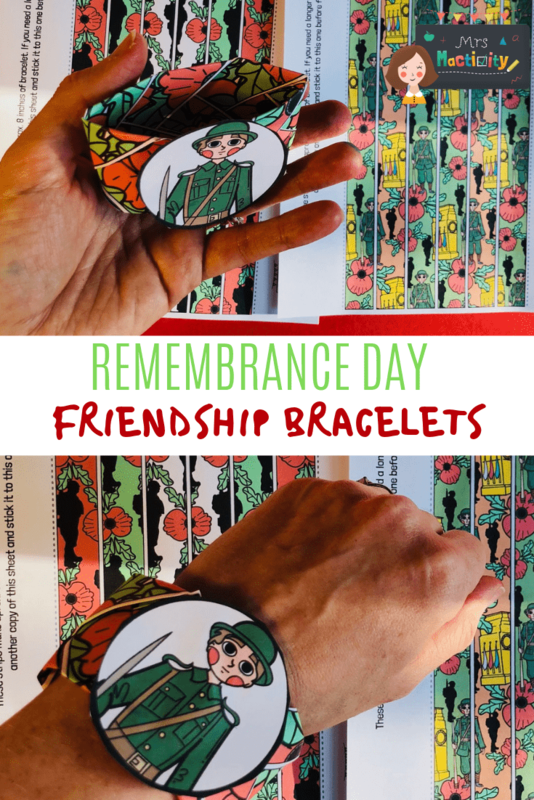 It comes in a variety of brightly coloured designs, and is perfect for children to make and give to a friend in the spirit of kindness. 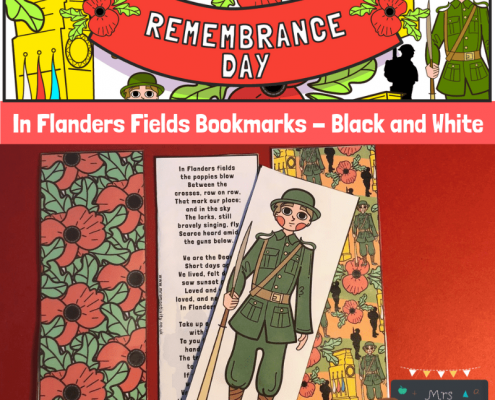 These In Flanders Fields Bookmarks are a great keepsake for children to keep forever, and to also encourage them to read. Older children can read the poem aloud with expression, to practise their speaking and listening skills. All these resources are part of our £9.97 Premium membership – this lasts for 12 months and we are fast becoming the crafting resources of choice for the Early Years sector. 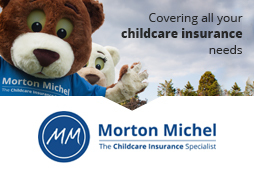 You can see Mrs Mactivity and get involved in a couple of her interactive workshops at Childcare Expo London on 1st – 2nd March 2019! Join over 2,500 like-minded individuals from the early years sector who are dedicated to improving both practice and their childcare settings. Is your setting ready to become a Plastic Free Champion? Famly at Childcare Expo Manchester!